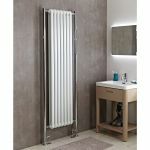 Vertical radiators are the answer to providing warmth and comfort in the most awkward of spaces. 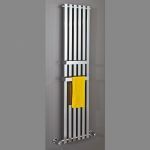 Say goodbye to those ugly wide panel radiators that consume acres of wall space. 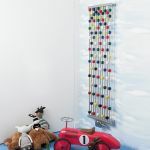 Say hello to the space saving properties of those tall verticals. 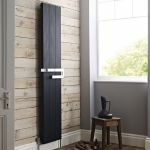 Whether you have a cramped kitchen, a tight knit living space or a spatially challenged hallway there is a long, tall radiator option available. 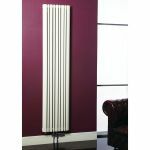 With radiators from 1200 to over 2000mm tall available these styles harness the unused space of your walls. 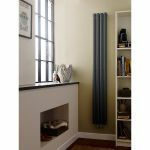 Furthermore, even the narrowest of designs can still have high heat outputs. Multi panel options can produce as much as 10,000 BTU’s per hour keeping your home toasty and comfortable. This level of convenience doesn’t mean settling for inferior looks either. 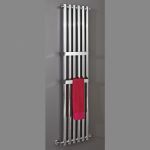 All our vertical designer radiators incorporate cutting edge looks and finishes. 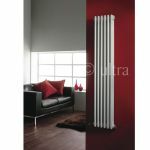 From gloss white and black to daring red and contemporary anthracite finishes, we have it all. 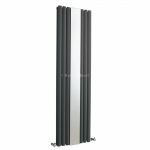 Some products even incorporate slim mirrors so they can double as an additional useful device. 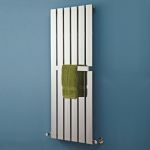 All the products on offer are name brands including the likes of Hudson Reed, Phoenix and Ultraheat. 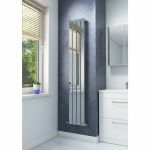 They’re all cast and built to strict standards with genuine manufacturers guarantees. What are you waiting for? 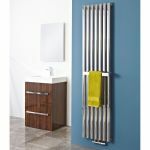 View our inspirational collection now.